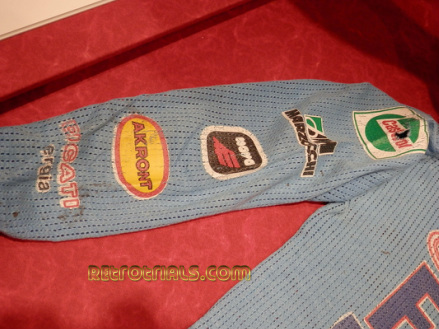 Over the years Jason has prised this beautiful clothing collection from Steve. 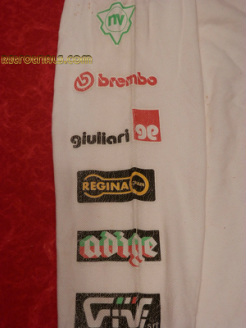 This is a very special collection with some of the most desirable Trials clothing items on the face of the Earth. 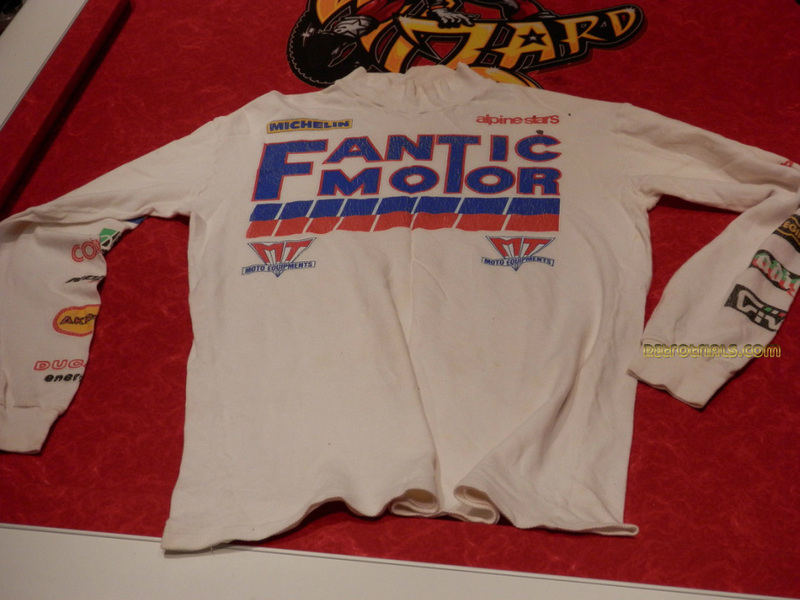 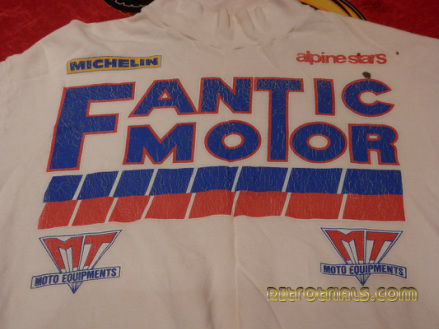 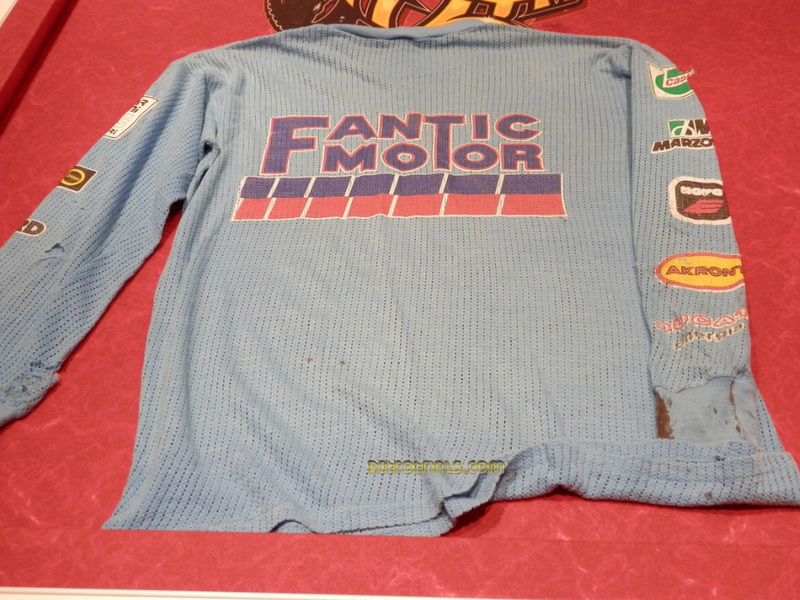 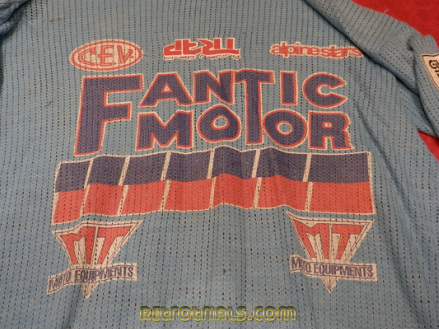 First we started with Steve Saunders' Fantic gear. 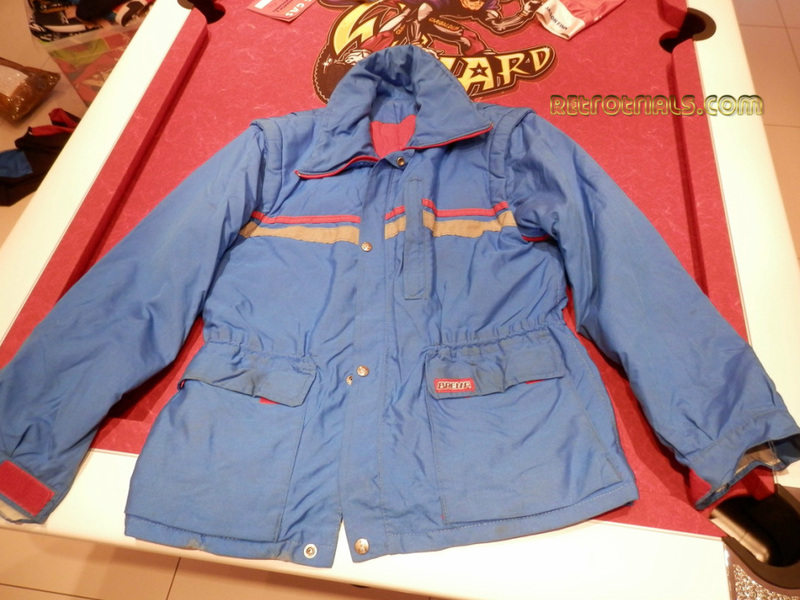 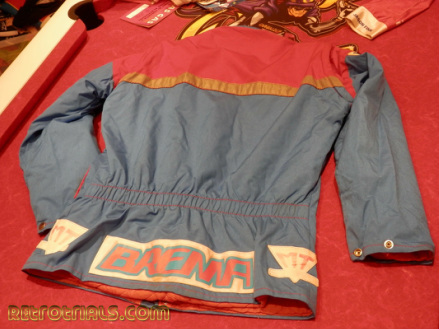 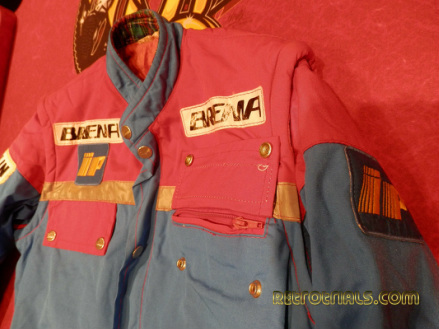 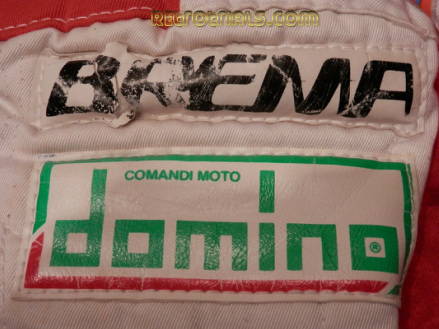 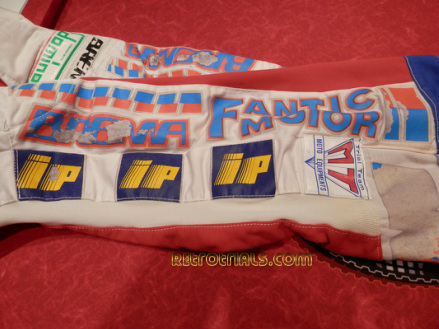 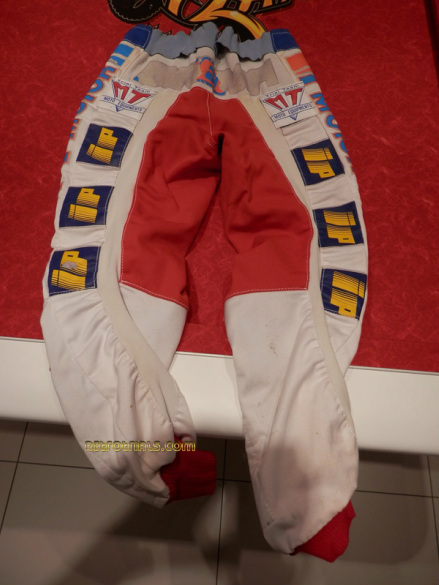 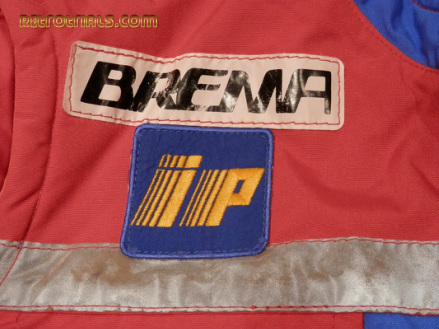 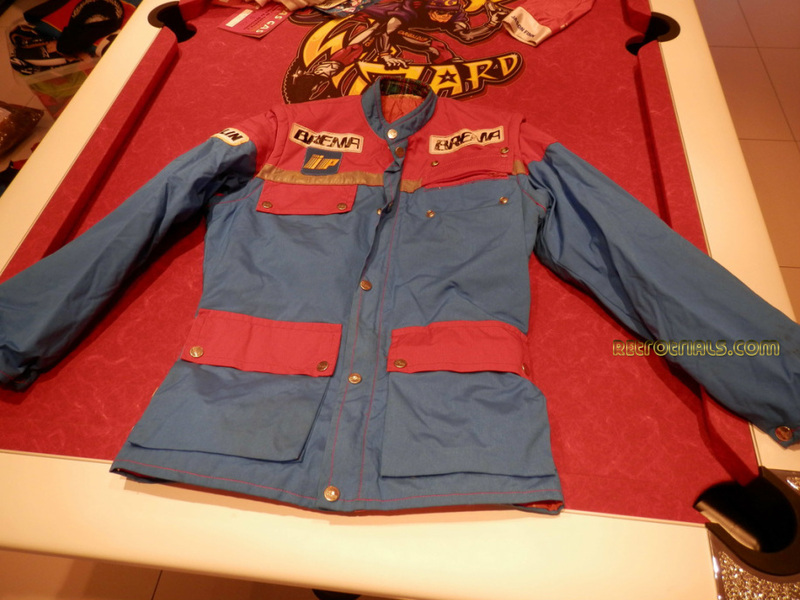 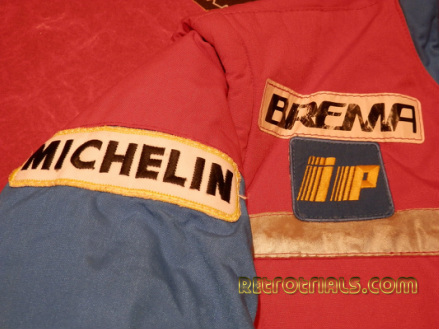 If you have ever seen the footage of the 1988 Uk World Trial you may recognise this jacket. 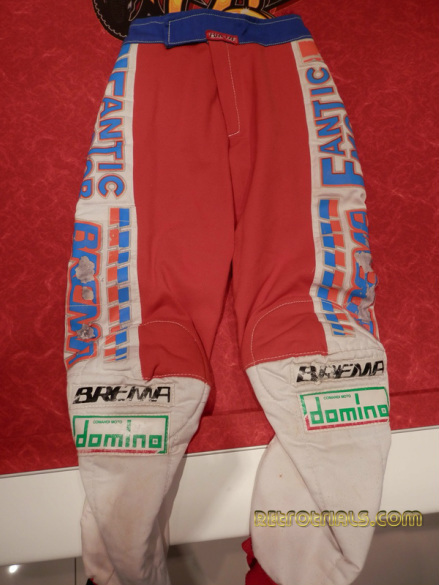 After beating Jordi Tarres and winning the trial Steve is interviewed by the BBC and other camera crews in this very jacket. 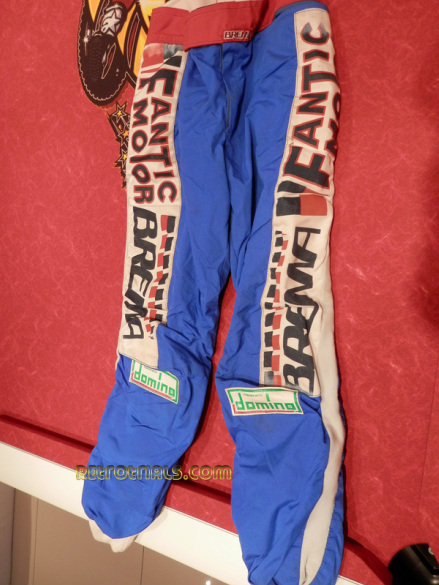 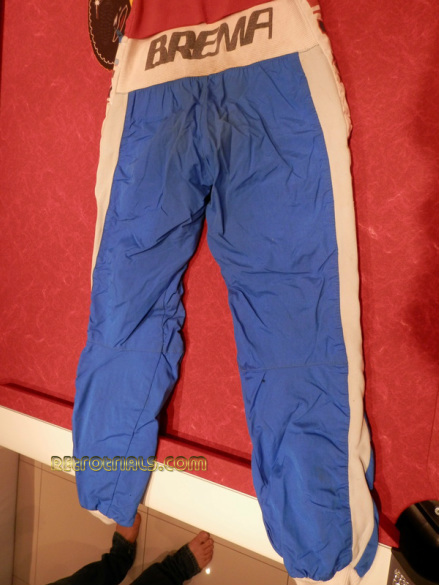 These works Fantic Brema trousers are beautiful.